Chris Lewis, DC practices as a Chiropractor in Chattanooga, TN.He graduated from He completed his undergraduate studies from the Edinboro University of Pennsylvania and his chiropractic degree from Life University. Dr. Lewis has successfully completed 300 hours of postgraduate education in chiropractic clinical neurology and is board eligible for diplomat certification. and has been practicing since 2008. 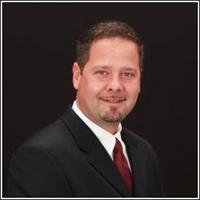 Education He completed his undergraduate studies from the Edinboro University of Pennsylvania and his chiropractic degree from Life University. Dr. Lewis has successfully completed 300 hours of postgraduate education in chiropractic clinical neurology and is board eligible for diplomat certification. Where do I even begin!! Dr. Lewis is the best in the East Brainerd area. I am constantly laughing the entire time I am there. His humor and bedside manner are amazing! I know I am in good hands the second I walk in. Dr. Lewis takes the time to walk you through everything. His staff are fantastic as well. I have all good things to say about this place. Not to mention Dr. Lewis's Soup Mondays!!! I highly recommend Dr. Lewis and Total Health Chiropractic to anyone looking for a Chiropractor! I was completely at ease during my appointment here. They went to great lengths to make sure I was completely relaxed and comfortable the entire time. Not only did I have no more pain after my adjustment, but I felt great afterward. I definitely saw a huge difference. I was in awe at the level of service I received. They completely surpassed all my expectations and I will absolutely be going back. One thing I love about them, is that they're always willing to ask for other qualified professionals' advice when they don't have an answer for my question. I never have to worry about them giving me a wrong answer just because they weren't willing to ask for help.